Last Friday we took our third year undergraduates to Audley End in Essex for a bit of R&R (Relaxation and Revision) in the sunshine. 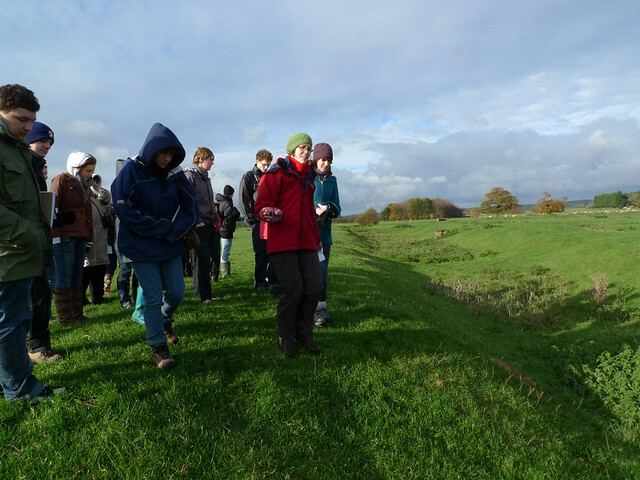 It was one of the most glorious days we have had for a Landscape History field trip for a few years! Audley End has a fascinating and complex history; a monastery turned into a country house at the Dissolution, one of the largest prodigy houses in England, a royal palace and a SOE training centre for Polish operatives. The house, built between 1603 and 1614 for the Earl of Suffolk, was enormous – the present house is only a fragment of the original, but retains many original Jacobean fireplaces and plaster ceilings. In the eighteenth century the grounds were landscaped by Lancelot ‘Capability’ Brown, and the interior of the house decorated by Robert Adam. 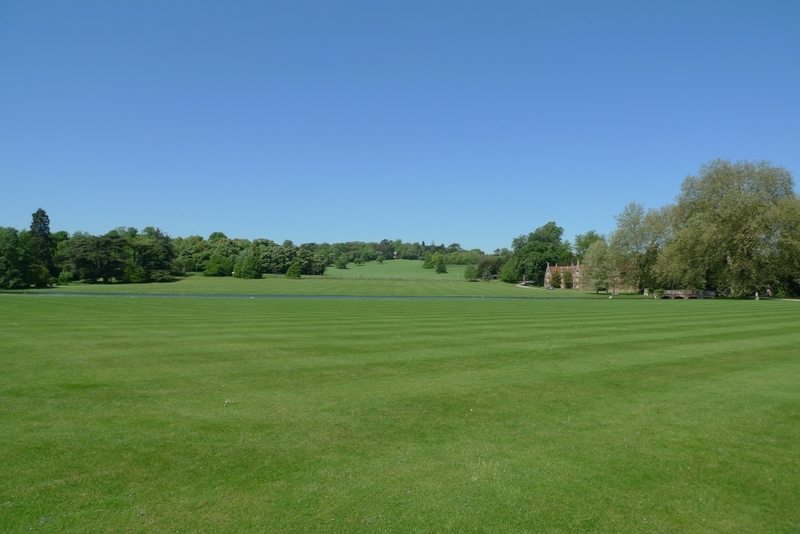 Some of the Adam rooms have been restored, and the view from the plain, Neoclassical dining room across the Brown parkland was wonderful in the sunshine. The park is particularly interesting for the reuse of an Iron Age hillfort by Brown, who created a carriage drive and specimen planting within the ramparts. 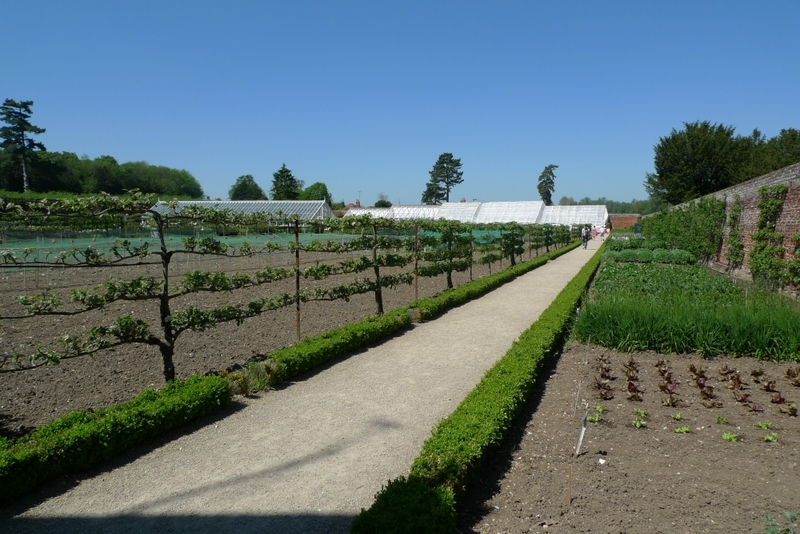 The service wing has been restored to its late nineteenth-century heyday, as have the kitchen gardens. 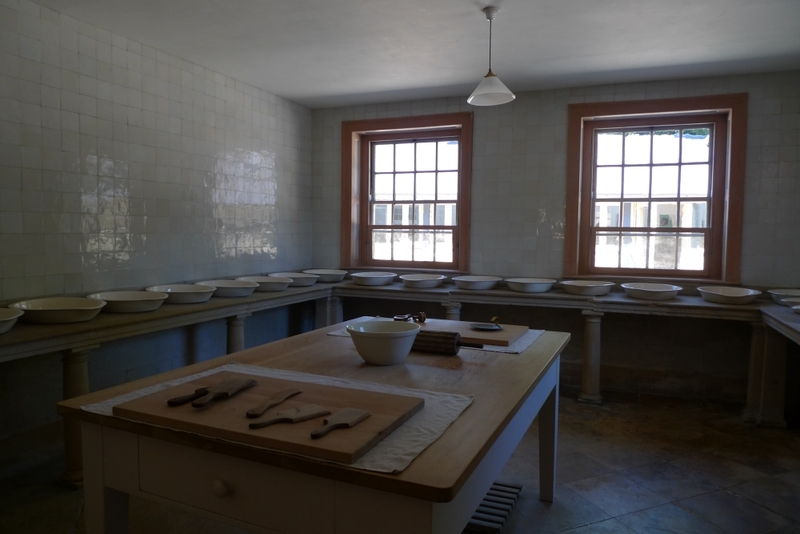 On some weekends in the summer the service wing comes alive with volunteers in period costume cooking and working in the kitchens and laundries. 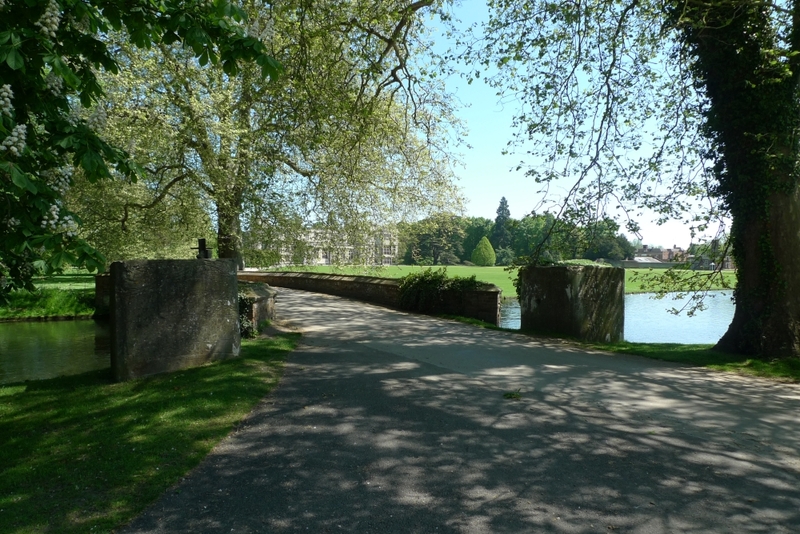 As a complex, multi-period house and landscape, Audley End is a good place to remind our students about the relationship between architecture and landscape in the post-medieval period – how did the owners reconcile the appearance of the Brownian parkland with the Jacobean architecture of the house? Why didn’t they close that road? Why didn’t they pull it down and build a classical mansion instead? What are those earthworks? What are those two massive concrete lumps by the bridge? Hopefully, the answers will come flowing back to them in their final exam later this week! 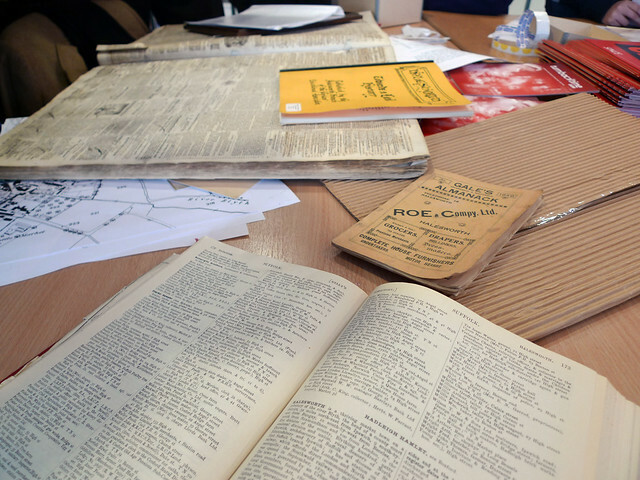 There is lots more information about Audley End on the English Heritage website.